With a couple of stops for beer. 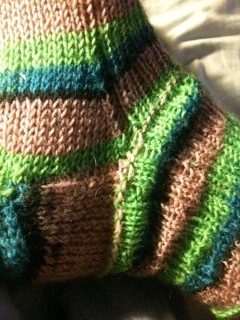 I’m currently knitting a pair of socks out of Moda Vera Noir. 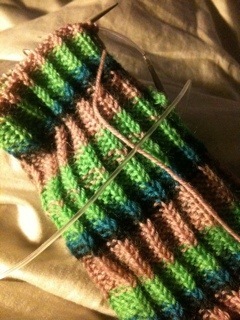 It’s my first pair of socks and it’s probably going to be a pair of three. The first one didn’t turn out too well – but the second one is coming along better. 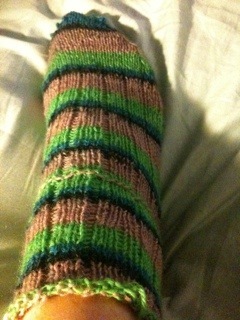 Ravelry is awesome. 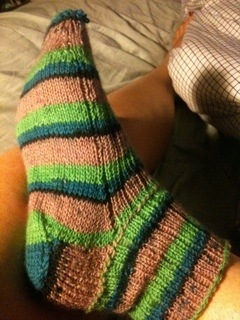 these are basic ribbed socks although for whatever reason, it’s downloaded as Kate’s Training Sock in iBooks. I’m currently half way through season 2. I love it, although some times it makes me a little angry the way women were treated, and that there’s still a bit of that in my workplace. But overall I love it.